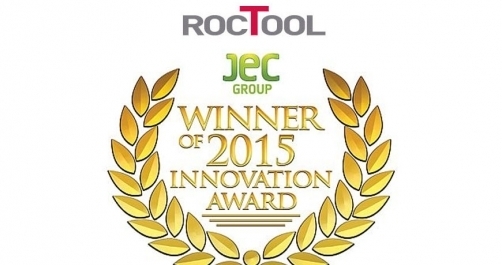 RocTool, designs innovative processes for rapid molding of composites and plastic material and is a partner of Motorola’s award winning innovation with a JEC Innovation Award in the Electronic Products Category: the composite covers are very well designed, modern and resistant for the smartphone industry. By using RocTool’s rapid molding process allowed Motorola to develop smartphone covers at a high production rate, which are attractive, nice to touch and with a top surface quality. 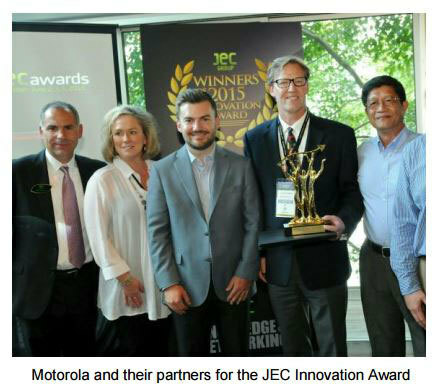 “We would like to congratulate Motorola for winning this prestigious award. RocTool technologies are adapted to high volume production, particularly in Electronics, Automotive, luxury cosmetics, and other quality oriented products. RocTool’s induction provides an excellent surface quality and a resin rich surface which is a key requirement in electronics housing” says Mathieu BOULANGER, President of RocTool Inc.
RocTool’s technologies combine molding of nylon, polycarbonate, Kevlar and woven glass fibres. "RocTool's 3i-tech® inductive system was critical to Motorola reaching its production and cycle time targets for the Droid Turbo programs. It allowed us to reach a target capacity of ~50,000 formed parts per day, with minimal tooling investment, while maintaining excellent surface quality and dimensional stability on our formed parts." adds Tom VONDRAK, Director, Sourcing and Procurement from Motorola.